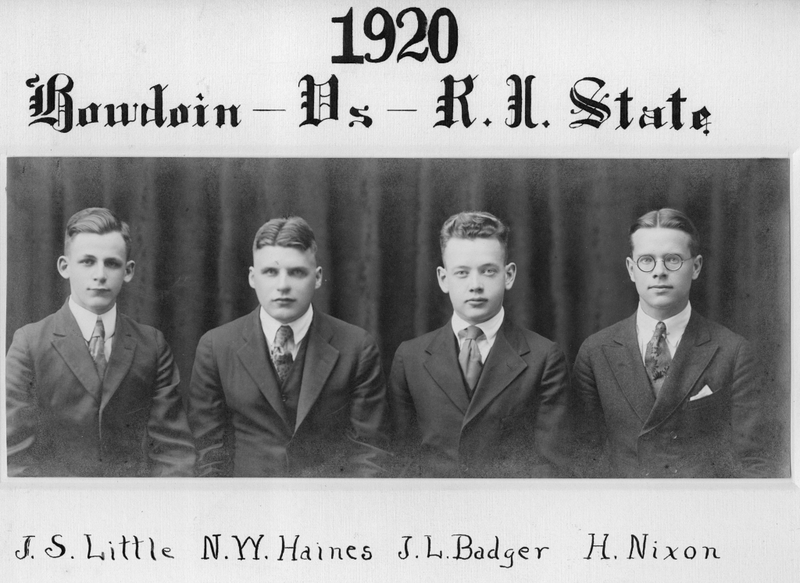 Portrait of a Bowdoin College debating team, 1920. Left to right: J.S. Little; N.W. Haines; J.L. Badger; H. Nixon.